In this step you will gather and assemble your pieces. * SSD card required only if you purchased it separately. Otherwise, your stakebox comes with the SSD card installed. ** The USB drive will allow you to store a backup copy of your wallet in a safe location. In this step you will connect to the internet either by ethernet or wifi. Connect the Stakebox directly to your router with an ethernet cable. Select the icon with two lines and two x's in the top right corner of the desktop. This will provide a dropdown list of available wifi connections. Select the desired wifi connection and provide the password, if required. The icon will change to indicate a successful connection. In this step you will run a script that downloads and installs your Neblio wallet. Simply double click the file to open. You will then be prompted with an Execute File module asking what you want to do with the script. 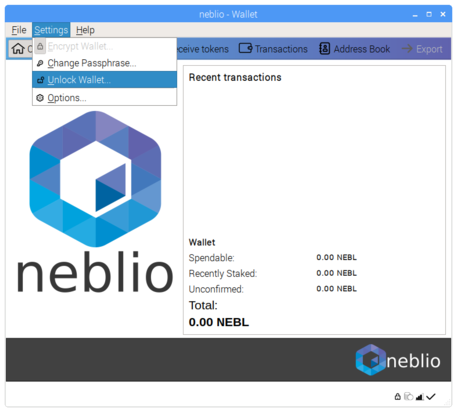 The script will download and install the files needed for the Neblio wallet to run. Once all downloads are complete, the window will close on its own. 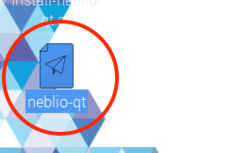 During the process, you will see a new file labeled neblio-qt added to the desktop. In this step you will open your Neblio wallet and allow it to sync to the network. Simply double click the file to open. You will then be prompted with an Execute File module asking how you want to execute. 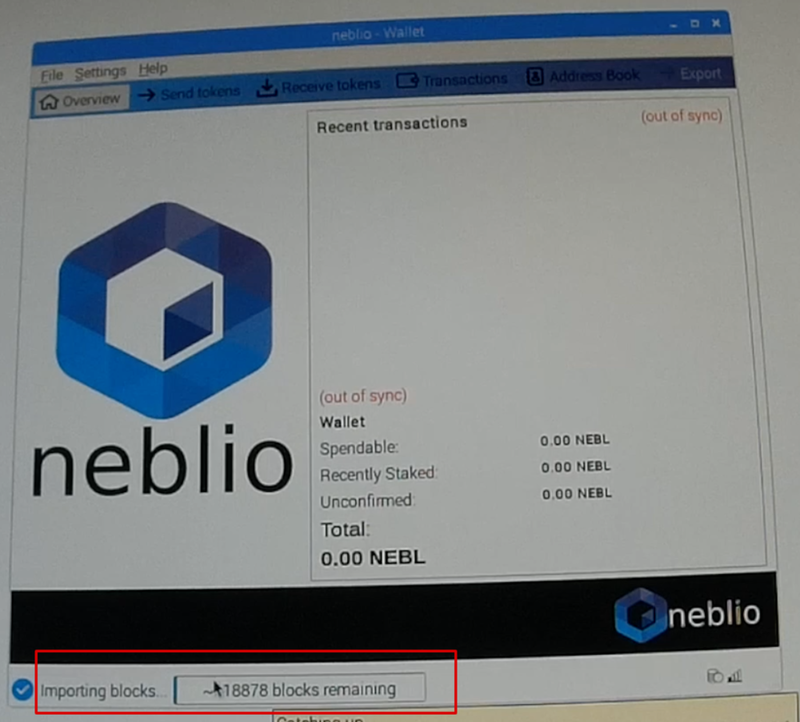 When the Neblio wallet launches it will begin syncing on its own momentarily. A progress indicator will be visible at the bottom once the process begins. In this step you will encrypt your wallet with a passphrase of your choosing. The Neblio wallet requires a passphrase of 10 or more random characters or 8 or more words. Write your chosen passphrase down so you can keep it in a safe place. Wallets do not have a "forgot my password" feature. Enter your passphrase twice in the Encrypt wallet module. When you select 'OK' the wallet will close. In this step you will unlock your wallet so staking can occur. In this step you will backup your wallet as a safety precaution. In this step you will turn on auto start which allows the wallet to unlock automatically upon startup. In this step you will add Neblio to your wallet by sending it to a wallet address.